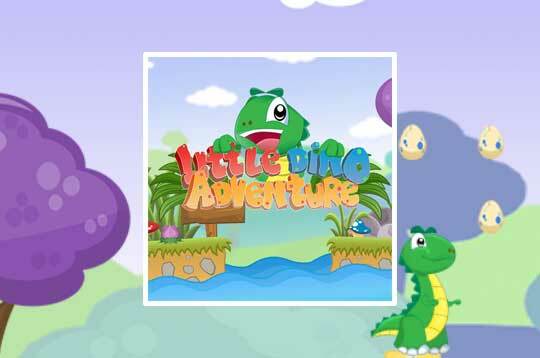 Adventure game and platform where the little dinosaur walks through the stages to collect as many eggs as you can to score many points, Hit the blocks to collect even more eggs. Each of the three stages has three large golden eggs, try to pass the stage collecting all three to complete 100%. Jump on enemies to gain points and destroy them. - Play Little Dino Adventure Free and Enjoy!